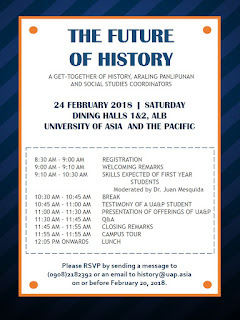 The History Department invites everyone to the first get-together with Social Studies, Araling Panlipunan, and History teachers and coordinators from various schools at the Dining Halls on February 24 (Saturday) from 9:00 am to 12:00 pm. 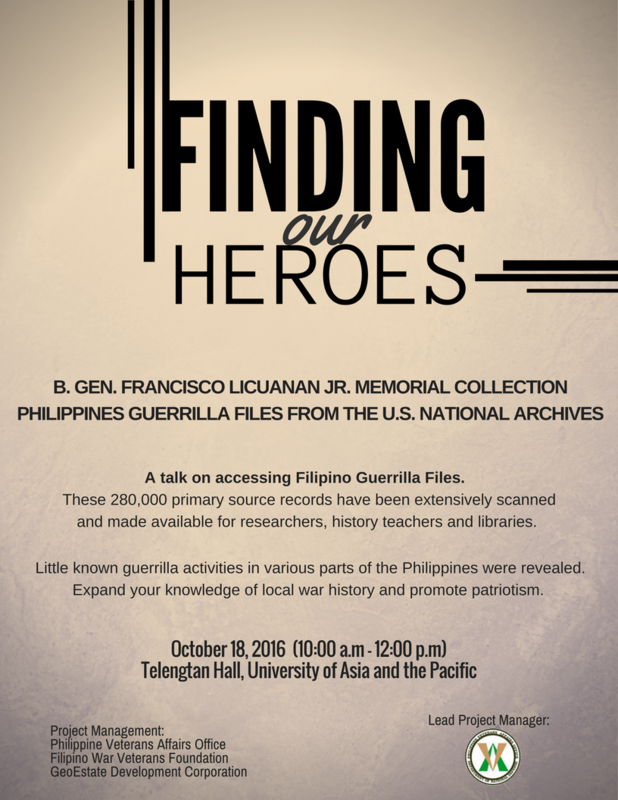 The History Department invites everyone to a talk entitled "Finding our Heroes: The B. Gen. Francisco Licuanan Jr. Memorial Collection Philippine Guerrilla Files from the U.S. National Archives" at the Telengtan Hall on October 18 (Tuesday) at 10:00 am to 12:00 pm. The speaker will be Ms. Marie Vallejo, lead researcher for the project. 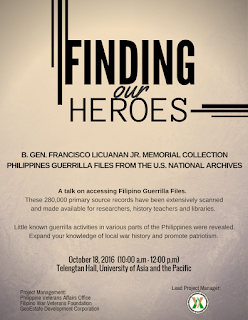 Around 280,000 primary source records have been extensively scanned and made available for researchers, history teachers and libraries. This talk was also given to the U.P. 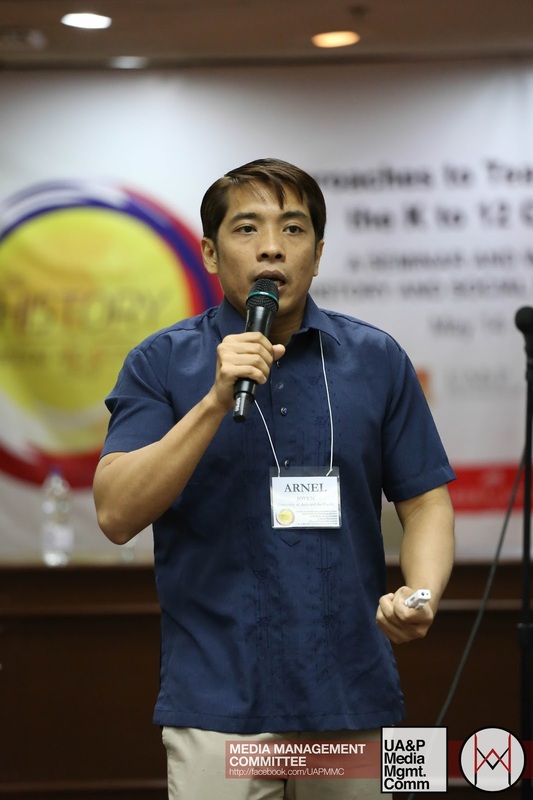 School of Library and Information Studies. 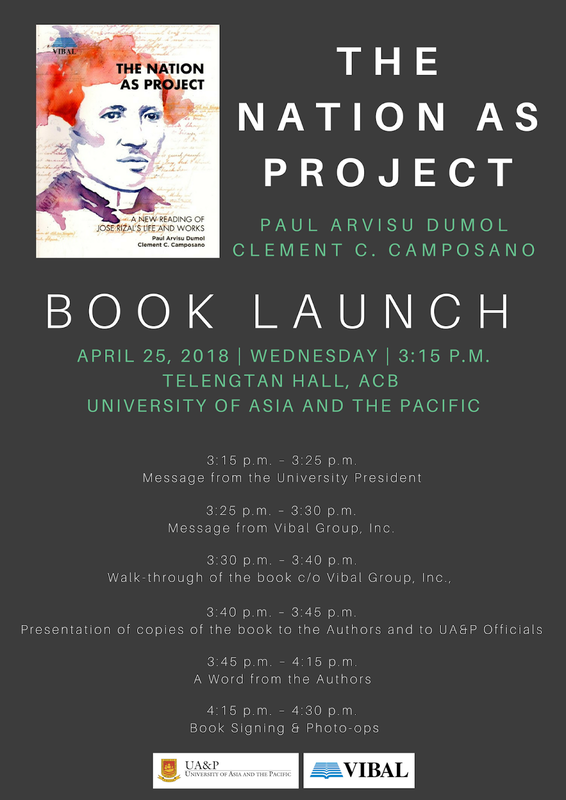 Ms. Vallejo will be giving the talk to UA&P faculty, students, and library staff for free to share her collection, help expand the knowledge of local war history and to promote nationalist pride. 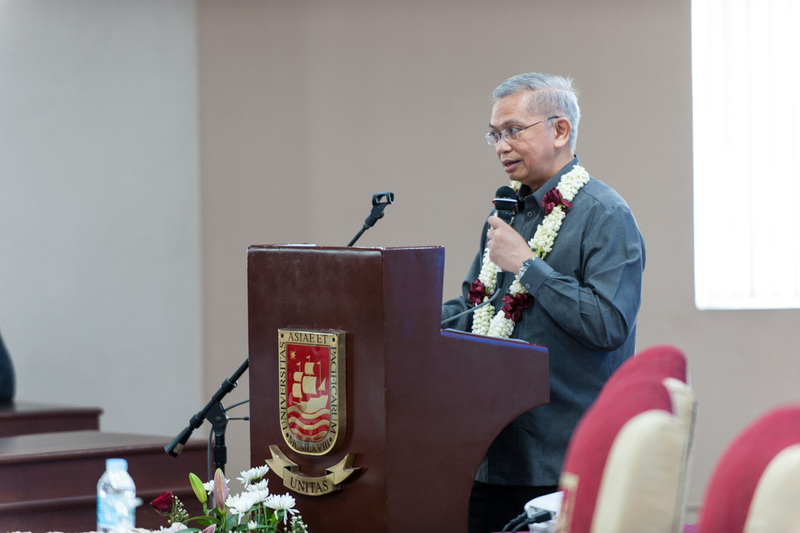 The 21st UA&P University Day held last August 15 was a most unique celebration, with the conferment of the rank of Full Professor on Dr. Paul Arvisu Dumol and his lecture on “The Role of the University in a Time of Change.” These two events highlighted how liberal education can help level the playing field and bring out the best in every person. Read more. 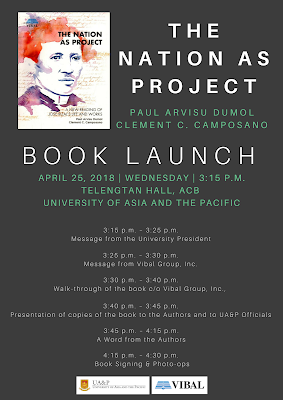 Back to the Bases: Subic, Clark, and Ph-US Relations 25 Years after the 1991 Philippine Senate Vote. Read more. 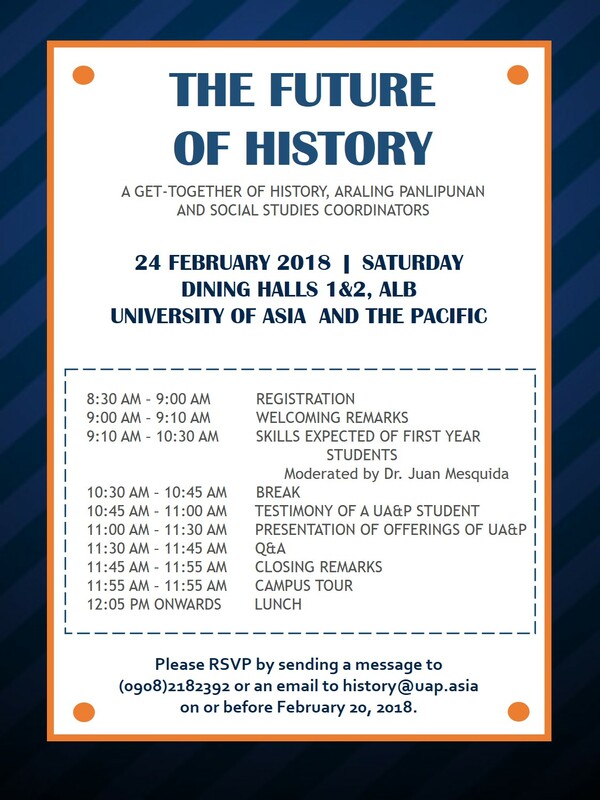 The Global Impact of the Manila-Acapulco Galleon Trade: An International Conference Celebrating 450 Years of Urdaneta's Voyage, Manila, Philippines. Read more.